Let’s face it, today people are forced to work more hours than they should to provide for themselves and families as well as pay inevitable increasing bills. Most people I know, who live in the U.S., work two jobs that clock up to over a hundred hours per week combined– Yes, weekends included. Others have to balance college and a job. 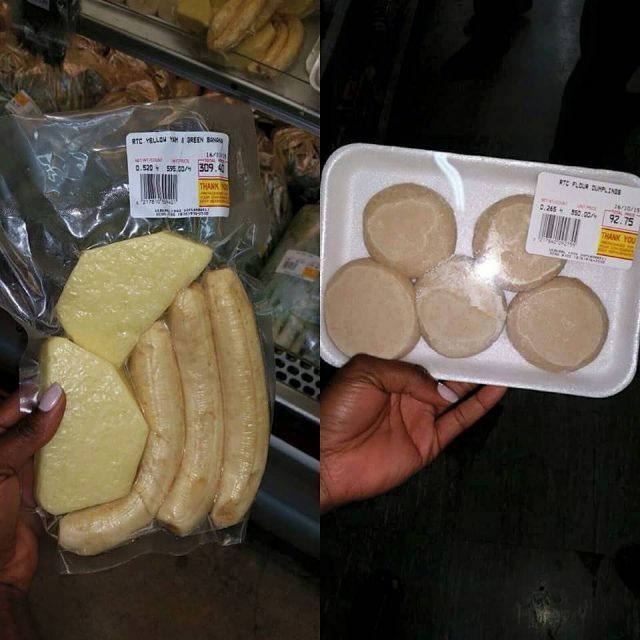 So pre-Packaged Yam, green bananas and dumplings could be an option for them, right? This picture surfaced on social media last week. 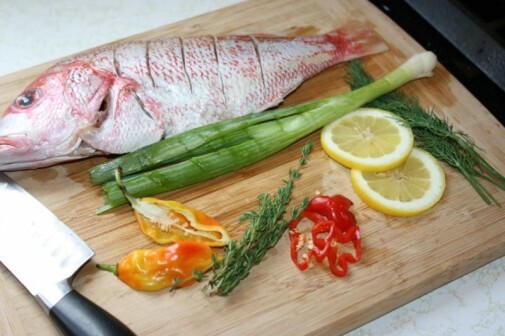 We don’t know where in Jamaica or which supermarket the photo was taken. In Jamaica, most people have one job; a typical 9-5. However, as time goes we all try to live an easy life — more efficient? — which cost us most times. Before we jump and call the consumers of this pre-packaged food lazy, I think the producers of this product are catering to people who are exhausted from work and don’t want the greasy, fatty, bad-for-your-health fast food. Yes, most people are lazy, and some will purchase it — just because. There are also people who will question what under conditions were these products prepared before packaging of the pictured foods. However, as you can see in the background of the photo, you have a choice: packaged or fresh-from-the-earth-produce. These are pre-made ‘read to boil’ dumplings sold in Trinidad.